You Really Oughtta Be Watching CHANNEL ZERO: THE DREAM DOOR | Birth.Movies.Death. Frequent readers know that we're big fans of Syfy's Channel Zero 'round these parts. Each season, the show takes a different creepypasta story and fleshes it out into a full-blown limited series, with a different director (and an all-new cast!) delivering the scares. Several seasons in, and the results have always been strong. Sometimes, they've even been great. Take this latest one, for instance - The Dream Door. The season starts with a couple, Jillian and Tom, moving into a new house and discovering an odd doorway in their basement. Several attempts to breach the door fail, but eventually the couple makes it inside...where they discover the imaginary childhood friend of Jillian locked inside a small room. 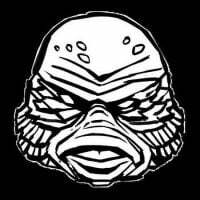 This is "Pretzel Jack", as nightmarish a creation that's ever been featured on this show (as played by contortionist Troy James, Pretzel Jack is a genuinely freaky screen presence), and it turns out he was probably locked in that room for a reason. Directed by E.L. Katz (Cheap Thrills) and based on Charlotte Bywater's "Hidden Door" creepypasta, this season's quite possibly the best since Craig William Macneill's Candle Cove, a bit of praise I would not throw around lightly. The writing's as solid as it usually is, but the cast (with includes folks like Barbara Crampton and Steven Weber) is unusually strong, Katz brings a strong sense of surreality and gallows humor to the proceedings, and the makeup design created for Pretzel Jack is truly unnerving. It's been a strong year for TV horror, hasn't it? Hulu's Castle Rock turned out to be a very pleasant surprise, Netflix's The Haunting of Hill House has taken Film Twitter by storm, and now we've got a brand-new season of Channel Zero to watch. For a certain segment of the viewing population, this year's been an embarrassment of spooky riches, and we are thankful for it. As of this writing, I've not seen the entire run of Channel Zero: The Dream Door, but I have seen the first three episodes, all of which were impressive enough for me to feel confident pointing you in the show's direction. 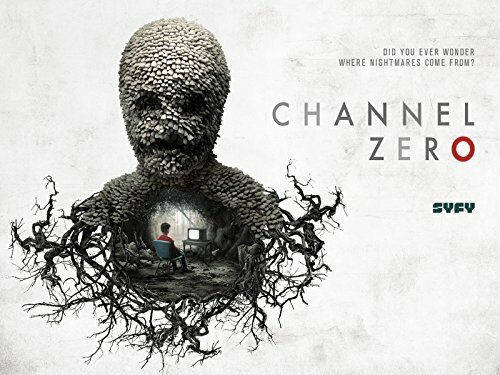 Syfy's been airing new episodes nightly, with the final installment arriving on Halloween, but you can also find the entirety of Channel Zero: The Dream Door via the Syfy site/app or VOD right now (if you need to catch up or don't have the patience to dole these episodes out to yourself on a nightly basis). Are any of y'all watching this season? Enjoying it as much as previous installments? Are we all in agreement that Candle Cove is still proooobably the best season thus far? Sound off in the comments below, and stay tuned for more on Channel Zero as further updates become available. Clive Barker's "STAR WARS of horror" is coming to the genre-centric channel.